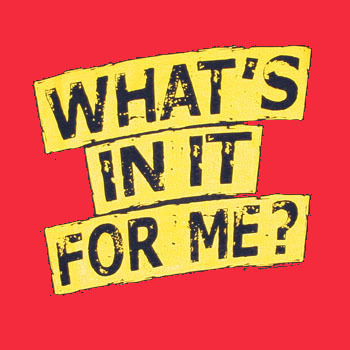 Last week, we began our January sermon series, “What’s in It for Me?” We’re looking at some of the practical benefits of being in a church community. You may remember that we talked about how one of our key practices, forgiveness, actually makes our bodies and minds healthier. Today, I want us to consider how involvement in a healthy church community also can serve as a key part of a family’s survival plan. I’m not speaking metaphorically. I’m talking about survival in the face of very real dangers—staying alive after a major storm or earthquake has knocked out water and electricity service across a region, for example. Now, I know some of you may think this sounds a little kooky. We don’t like to think about events that may never happen in our lives, particularly when we live in a relatively secure environment with easy access to water, food and heat. Some of you know exactly what I’m talking about, however. You’ve volunteered or even been employed to work in disaster zones after a major catastrophe, and you’ve seen how quickly modern urban areas like New Orleans, Gulfport, San Francisco, Atlantic City, and Manhattan can spend days, weeks or even months without basic necessities following a natural disaster. Human-caused disasters can wreak even more long-term havoc. For example, in 1984, Sarajevo, Yugoslavia, was modern and peaceful enough to host the Winter Olympic Games. By 1992, however, the Bosnian War was underway, and the city came under siege for four years. Its residents went from being model citizens of eastern Europe to constant targets of sniper fire as they ran about trying to buy a little bread. I’m not trying to be scary. It’s just a reality that the brokenness of the world can intrude anywhere, and people can be left struggling in the wake of such events. We’re talking about a truth that has been constant throughout human history. Our Nehemiah text takes us back to such a time, about four-and-a-half centuries before the birth of Jesus Christ. The Jewish people had come under the control of the Persian Empire. Nehemiah and other Jewish leaders had been allowed to return to Jerusalem, which had been destroyed by war, to begin rebuilding it. The people were surrounded by enemies, however, and when they began the work, they didn’t even have an intact wall around the city to protect themselves. They responded by forging a community. We get a picture of how they worked with weapons in hand, restoring the wall while ready to run to each other’s aid should an attack occur. They stayed inside the wall at night, working in unity to keep each other safe. There also had to be an extensive support system to make all this happen. Clean water had to be found and transported. Food had to be prepared. First aid and other medical support must have been constantly needed. A system of trumpeters provided communications so the people would know when there was a threat. I have no doubt that everyone large and small, young and old had a role in rebuilding the wall so they could proceed with the restoration of their city. Most importantly, these people shared a common belief. They worshiped the same God, and despite all they had gone through, they believed God’s promise that they would one day be able to live safely in their city again. You can tell by Nehemiah’s words that these people drew strength from their common knowledge that God was with them. It’s a model for how a religious community survives in times of crisis. Work together, sharing the skills you find in the group. Put your faith in God into practice—trust that he will preserve a community faithful to him. I occasionally like to read books and magazines on survival skills; it’s something I’ve enjoyed since I was a boy. I suppose there’s something comforting in at least thinking you might know how to start a fire and make water clean enough to drink under difficult circumstances. I ran across an interesting magazine, “Living Ready,” a few weeks ago. The winter issue has an article that’s closely aligned to this sermon. Dr. Kyle Ver Steeg contrasts the stereotype of the lone survivalist in the “Army Guy” costume vs. the reality of how people survive difficult situations. He draws heavily on his experience working in Haiti shortly after the massive earthquake that struck there in 2010. It makes sense, doesn’t it? In a crisis, relying on the relationships and shared skills we’ve been developing for years in church should be a natural response. A survival plan is something we all hope we never have to use, but it’s certainly a great church benefit to have.